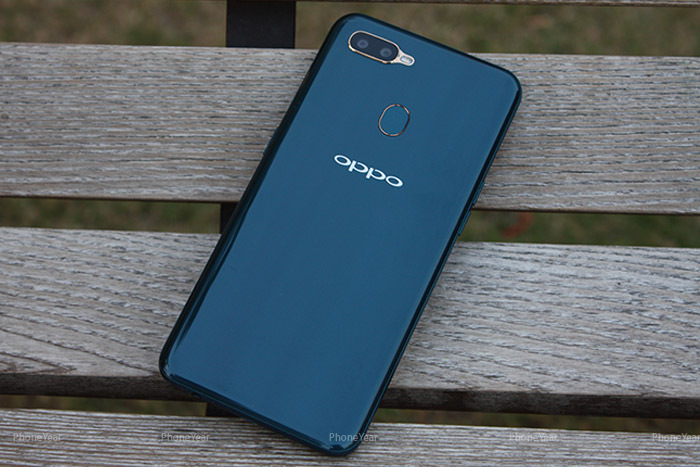 Oppo A7 just popped up on Oppo’s official shop The Tomorrow Technology. The device with product number CPH1901 is now official in our outlet. . Although compared to others, the A7 caught our attention, it’s the most affordable of them all and has a unique design that stands out from the rest. It’s powered by the Snapdragon 450 chip and has the waterdrop screen as well. It’s aesthetic design is simply breathtaking, the device was crafted with magnesium alloy and has a polished feel. It has a 3D heat-curved sheet & grating pattern which offers a better handgrip. It has a rear fingerprint and dual camera as well. It measures 8.1mm in thickness, weighs 158g overrall and will be available in Glaze Blue and Glaring Gold colors only. The A7 sports a 6.2-inch HD+ IPS LCD waterdrop display. The screen boasts of 720 x 1520 pixels in resolution along with a 271 pixel per inch density for clear visuals. Overall, the beautiful screen stretches up to 81.6% screen-to-body ratio as well. It runs on Android 8.1 Oreo out of the box with Color OS 5.1 on top. Running the race here is the Snapdragon 450 chipset from Qualcomm, it comes with 8-cores of processor clocking at 1.8GHz for a smooth ride. The Adreno 506 graphics card does the job in the graphics department. For storing up your files, the A7 packs 34GB internal storage space which is expandable up to 256GB using a memory card. It boasts of 3GB RAM space variants as well for multitasking through apps. The Oppo A7 features dual 13MP + 2MP rear camera for photography. With autofocus, depth sensor, LED flash and other internal features listed in the table below. For taking selfies, there’s a crystal clear 16MP selfie shooter with Face Unlock for all your selfies. Powering up the A7 is a 4230mAh battery capacity with support for fast charging. Charging the battery from 0% to 100% shouldn’t take up to 2 hours or more, it depends.